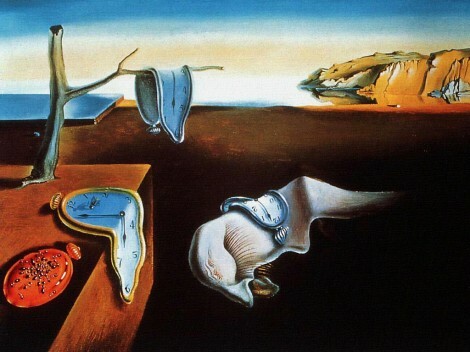 I've always liked Dali's painting, The Persistence of Memory, but that is not what this post is about. It is about lost things being found and redeemed. Specifically, about things supposedly lost to memory, but brought back to the present in a very real way by the wonderful invention called the internet search engine. Search engine, as in Google, or its many imitators. Once there was a song. It was on an album that I bought on a whim while attending The Cooper Union back in the late 1970s. On this album was a song called "Does it Make You Feel Good?" It was very catchy, and soon became a favourite of mine. I learned to play it on guitar, and I memorized the lyrics. Years later, I still played the song from time to time. By then, I had two children, and I used to sing them to sleep with guitar accompaniment. One of the songs I sang was "Does it Make You Feel Good." It was, being a song of twisted attraction to a sadistic lover, a bit of an odd song to sing to children. But, I am a bit of an odd man. Smack in the middle of a hurricane. Baby I'm startin' to think you don't like me! Does it make you happy, makin' me sad? Does it really, really get you off? Does it make you feel good makin' me hurt? Does it really really get you off? Then, a few weeks ago, it struck me that I ought to locate this song on YouTube. I knew that the band was something with "Rats" in it. I thought it might be the Hot Rats, but that was a Zappa album. Then I thought it might be the Boomtown Rats, but that was wrong, too. So, finally, I Googled "sucker me in like a Venus fly trapper", and I was taken to a page that mentioned the name of the band: Good Rats! From there, it was only a hop, skip, and a jump to finding the song on YouTube, thanks to the grace of God and the nearly universal neglect of YouTube's Terms & Conditions of Service. And, due to the same, here it is for your aural enjoyment!